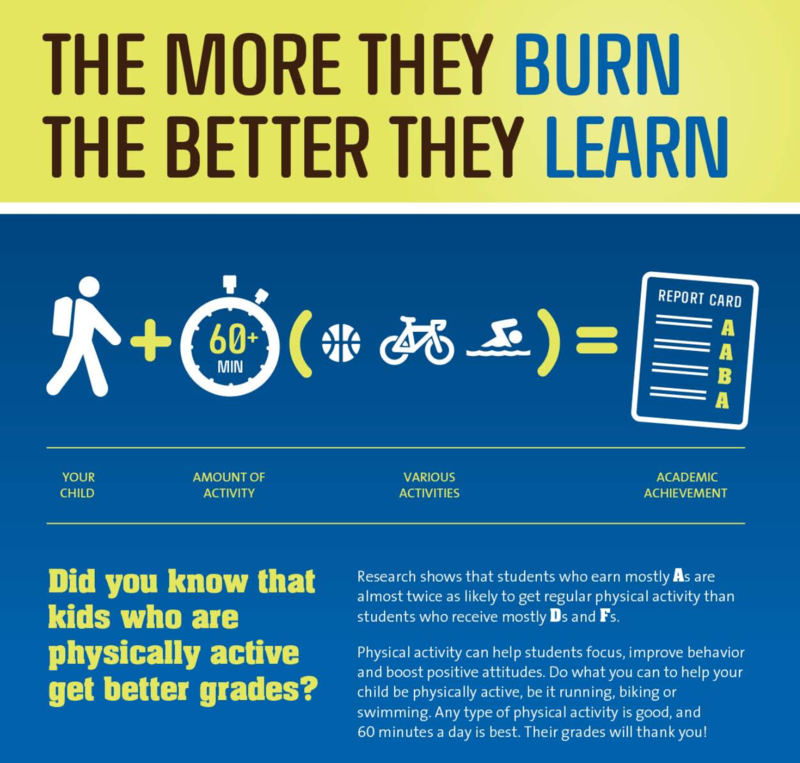 We need at least 60 minutes of heart-thumping exercise EVERY DAY! 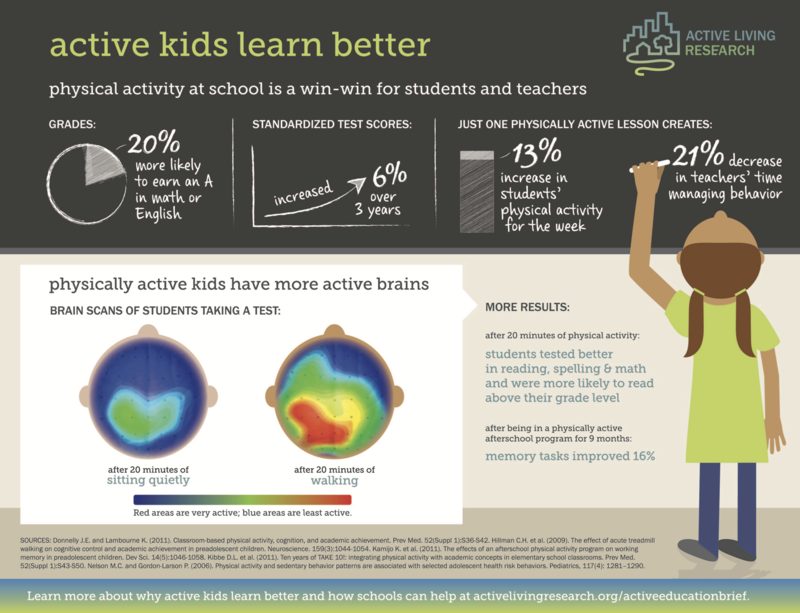 Physical Activity is one of the most important steps that we can take to improve our health, no matter what age we are! 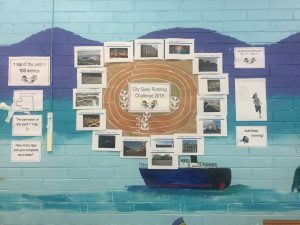 60 minutes of exercise a day is a message we are trying to spread at City Quay NS. 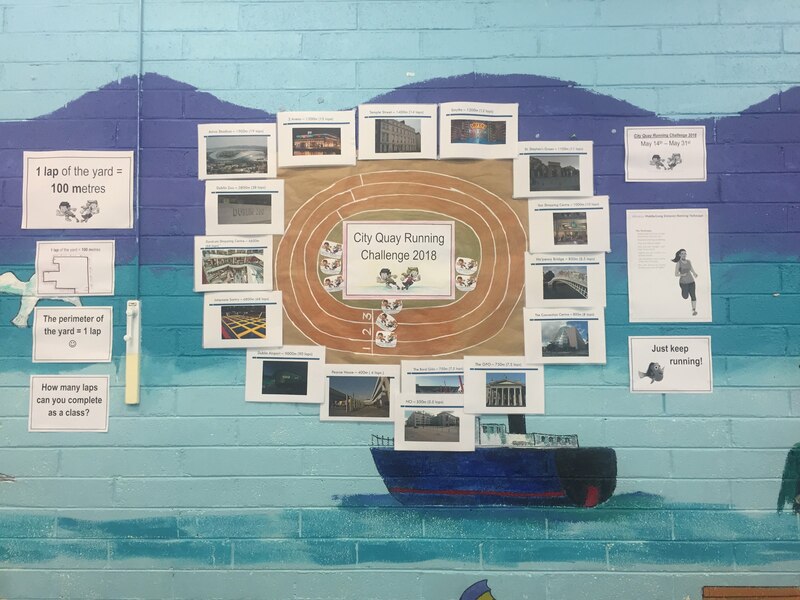 During our Active School Week, our homework involved counting the minutes of vigorous exercise done every day and the results were terrific! 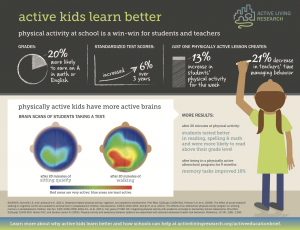 Remember, get off your seat and move your feet! 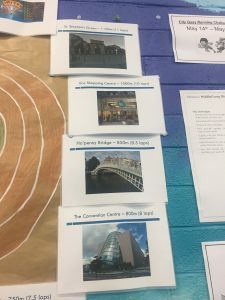 Children have two outdoor breaks throughout the school day : 10:30am – 10:40am and 12:30pm – 1pm. Lunchtime Pals encourage ‘Do Your Talking as You’re Walking’ with laminated cards on the yard. 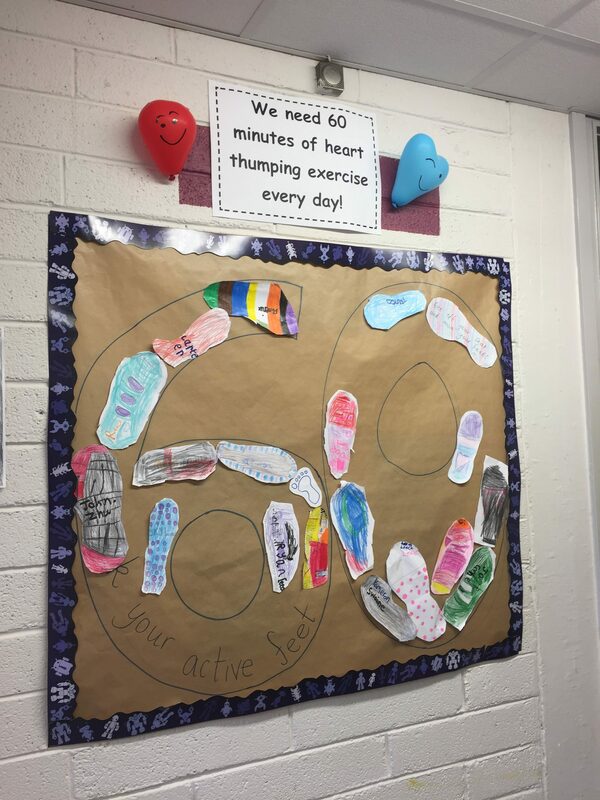 Active Feet are filling up our ’60 Minute Reminder’ Fast! 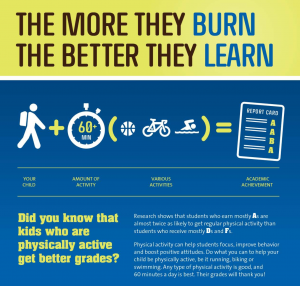 The Active School Website has taught us lots of interesting facts about the benefits of activity during the day! 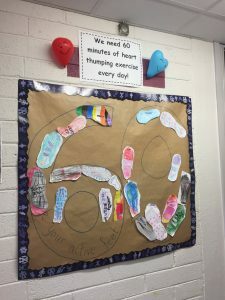 We love using GoNoodle throughout the day – especially when we cannot get out to Yard because of the rain. 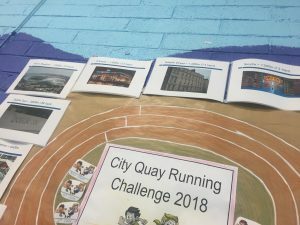 This May, City Quay has started their ‘Running Challenge 2018’. Each class must try and run as much as they during our Running Challenge over the course of a few weeks! We have mapped out the yard and Senior Infants measured the yard with the help of some 6th class students. 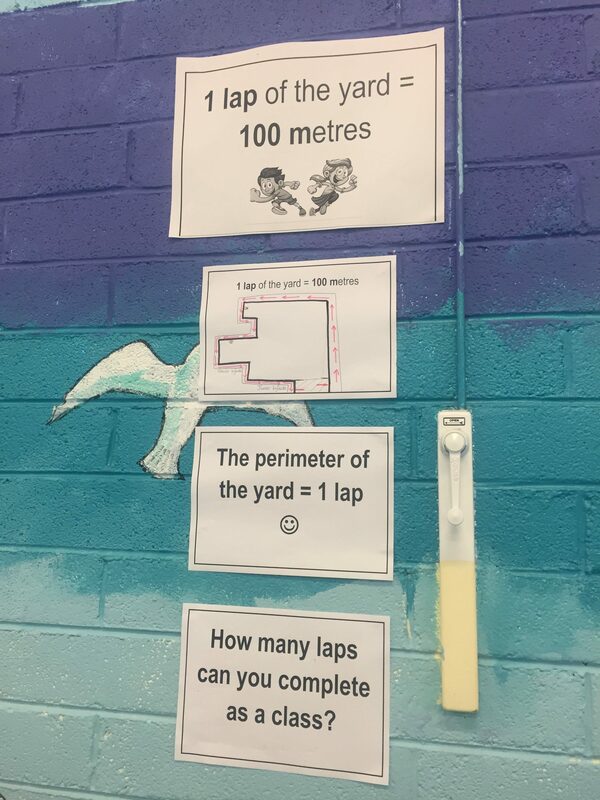 The yard is 100m in perimeter. 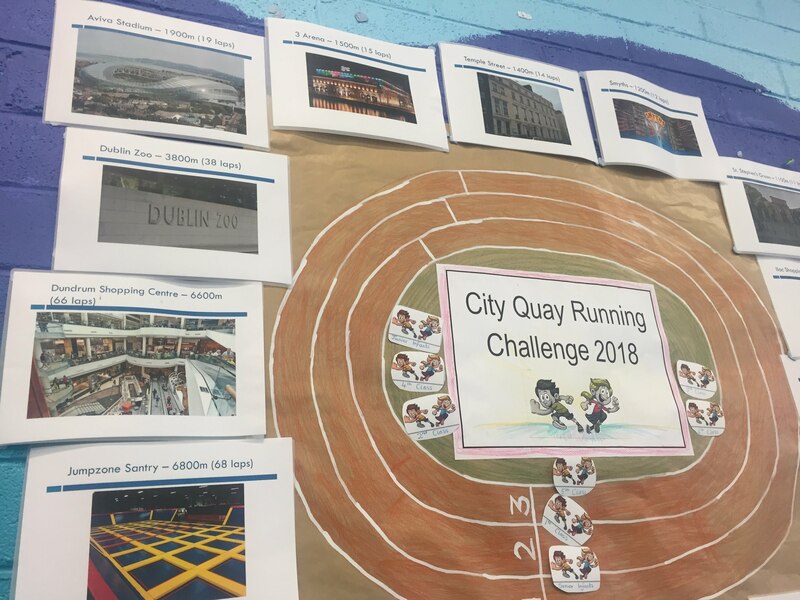 Different locations in Dublin were chosen so we could set a goal for our running challenge. 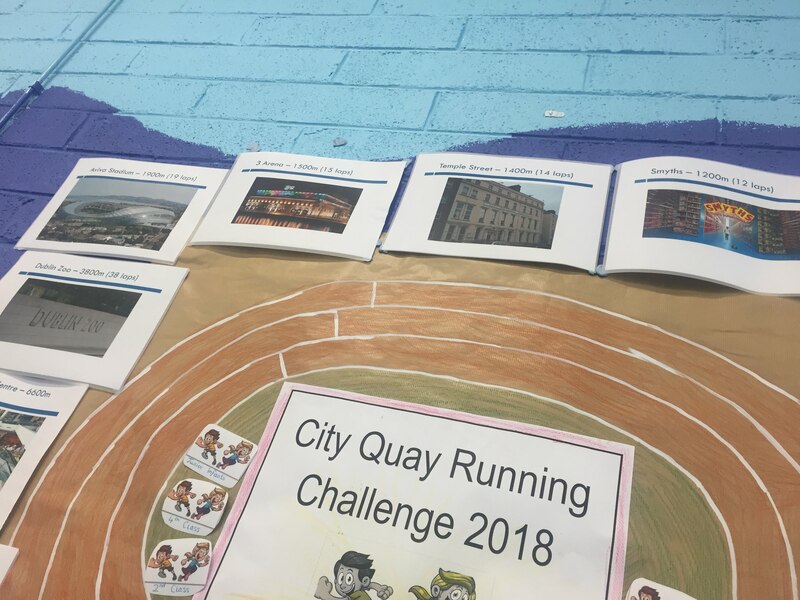 Everyone is excited and feeling energetic! 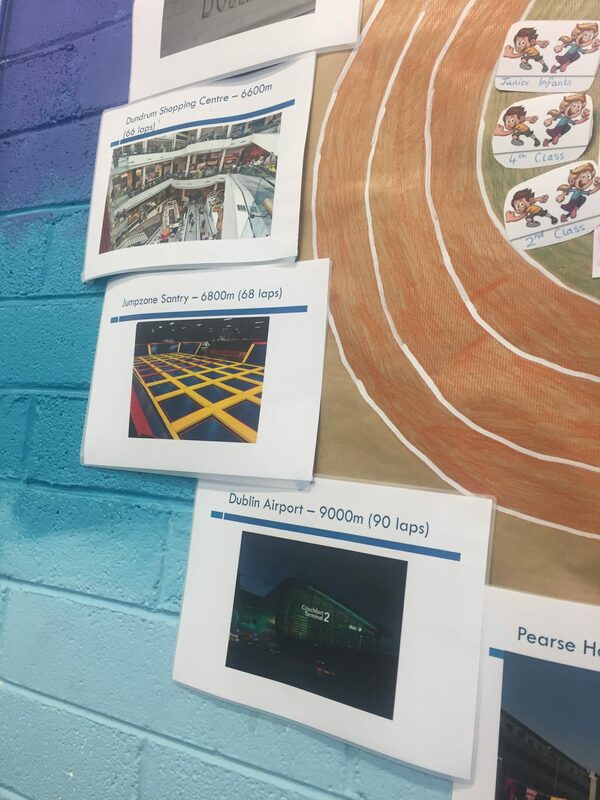 Junior and Senior Infants are running every morning at 9 am and the Senior Infants are getting their runs in throughout the day!